Q: How do I book your services? A: Once you have decided to book a photo shoot, simply send me an email (woody@fortephotographync.com) or call me (828.550.8064) and I’ll send you a contract by email for you to digitally sign. A deposit of 50% will be needed to reserve your session. Q: Where will we take my photos? A: That depends on what type of location YOU want! If you have a place in mind or just an idea then I can help to pick the perfect spot for you. Q: Who should I bring with me? A: Anyone you like for moral support and who wants to make your shoot fun. Mom, Dad, BFF? Q: Can I bring my own camera, or can someone else take photos while we are shooting? A: No, I do not allow any other cameras except phones while we are shooting. A: Unfortunately none of us can control the weather. We will simply reschedule the date! Q: Proofing & ordering. How does it work? A: About 2 weeks after your photo shoot, I will contact you to set up a viewing AND ORDERING session. This is were we will go through and pick out the images and products that you want. It will take another 2 weeks for your order to be delivered. Albums may take up to 4 weeks for delivery. Q: Don’t I have to have my senior portraits done by my School’s contract photographer? A: You may have to get your yearbook photo done by the contract photographer BUT you DO NOT have to spend you money there. Check with your school to find out the details for your yearbook. You can spend Your hard earned money anywhere You want. Let us create senior images with Your Style. Q: When should I have my senior photos taken? 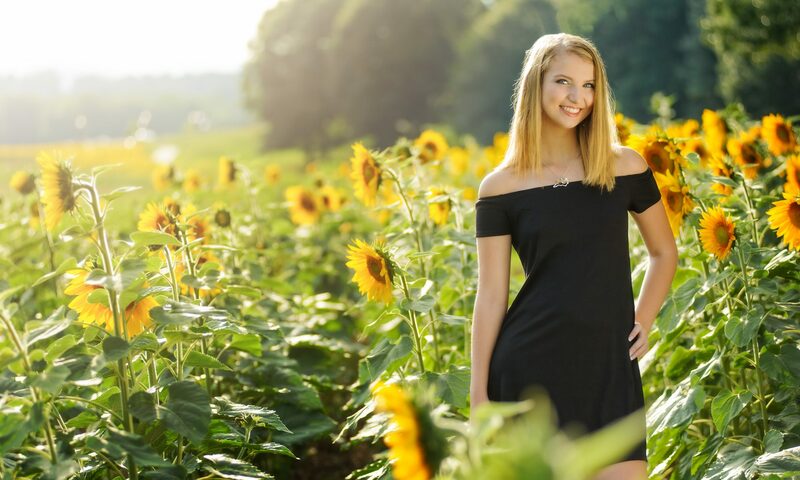 A: The summer before your senior year is the “usual” time to take senior photos. It’s normally the most relaxed time for seniors, however fall pictures can be excellent too! Most yearbook deadlines are in December if you want to add your photos to a page in the book. Q: Do you offer hair and makeup? A: We do offer makeup that is included as part of your session. If you have any more questions please contact us!